Beirut (AFP) – At least 25,000 people have left the bombed-out eastern districts of Syria’s Aleppo since evacuations began last week, the International Committee of the Red Cross said on Tuesday. 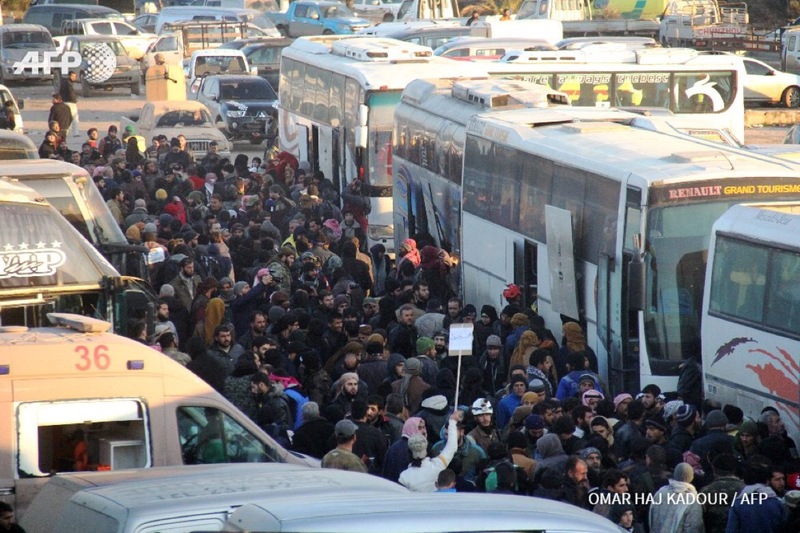 “Yesterday (Monday) only, we evacuated 15,000 people from east Aleppo. If we consider those evacuated on Thursday too, then the total should be 25,000,” spokeswoman Ingy Sedky told AFP. She said “thousands” of others were still waiting to be bussed out, amid a lack of information on the numbers of civilians and fighters remaining in east Aleppo. After a month-long assault by government forces, thousands of civilians and rebels left the last remaining opposition-held districts of east Aleppo last Thursday at the start of the evacuations. The deal was suspended until early Monday over government demands for the simultaneous evacuation of two Shiite-majority villages in northwest Syria besieged by rebels. Sedky confirmed that 750 people had thus far been bussed out of the villages of Fuaa and Kafraya, in Syria’s mainly rebel-held Idlib province, as part of the deal. More than 310,000 people have been killed since Syria’s conflict erupted in March 2011 with protests demanding the ouster of President Bashar al-Assad.